3 FACES is Iranian director Jafar Panahi’s fourth completed feature since he was officially banned from filmmaking. The film follows well-known actress Behnaz Jafari--playing herself--as she becomes distraught after watching a provincial girl’s video plea for help. Through tears, the girl laments she is oppressed by her family, who will not let her pursue her studies at the drama conservatory in Tehran. 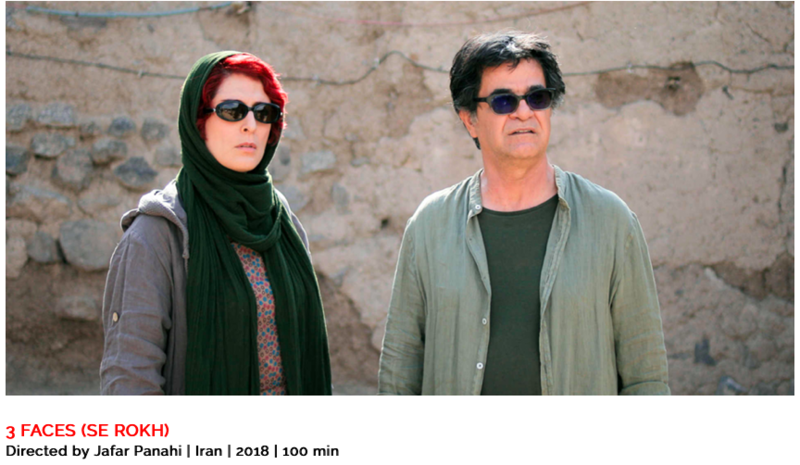 Behnaz, fearing for the young girls life, abandons her shoot and turns to filmmaker Jafar Panahi--playing himself--to help solve the mystery of the young girl’s troubles. They travel by car to the rural northwest where they have amusing encounters with the charmingS folk of the girl’s mountain village, but the city visitors soon discover that the protection of age-old traditions may make their impromptu quest more difficult than they thought. Jafar’s intimate portrait of Tehran life in the mountains provides an insightful, and surprisingly humorous, portrayal of village culture. 3 FACES is a road trip worth taking.